Last month, we started a contest that gave our readers a chance to win the official T-shirt for the Crystal Lake Memories documentary. The contest asked fans to let us know what they liked most about the Friday The 13th documentary after viewing the show. One of our readers was chosen at random out of thousands of entries and we are now ready to announce the winner! Congratulations Vinnie M! 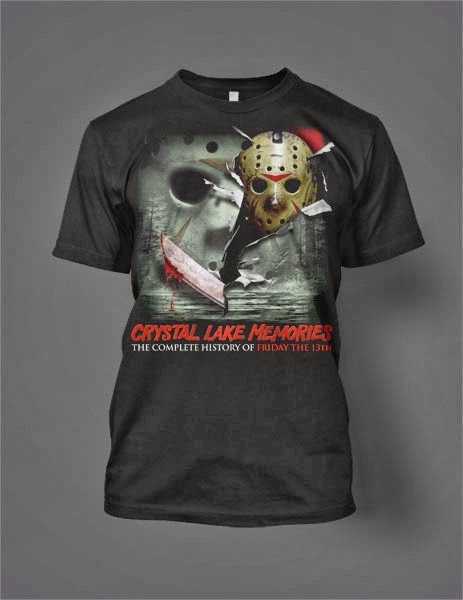 You are the winner of our Crystal Lake Memories T-shirt Contest. Vinnie will be receiving an email from us shortly for shipping information. Again, congratulations and a great big thank you must got out to Creepy Tees for contributing the shirt for this contest! Buy many other great Horror T-shirt at www.creepy-tees.com today!